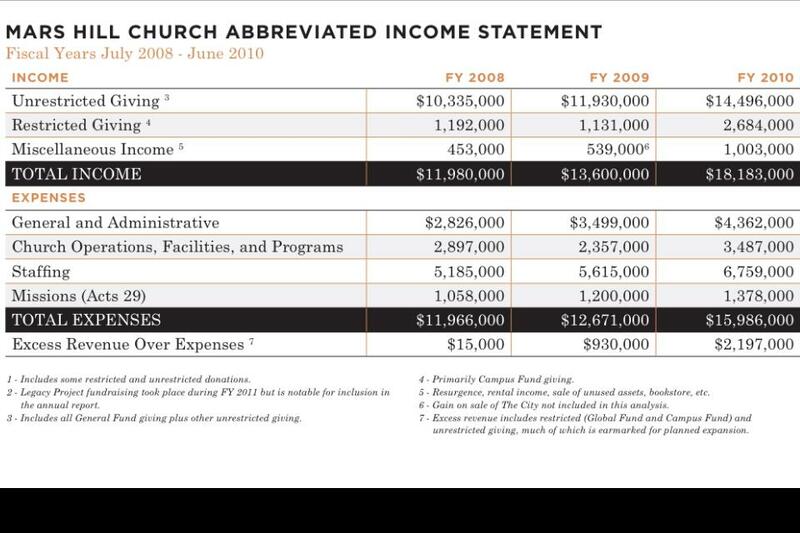 Mars Hill Church, a cult-like evangelical megachurch/ denomination headquartered right here in the Emerald City has had a really, really bad summer. Scandals about lead Pastor Mark Driscoll plagiarising most of the content of several of his books, the church spending hundreds of thousands of dollars to buy one of Driscoll’s books onto the New York Times best seller list, raising hundreds of thousands of dollars for specific disasters overseas, then sending only a few hundred, raising millions of dollars for a Jesus Festival that was supposed to happen last weekend, but was simply never scheduled or organized, ordered members to shun other members who raised questions and taking further action to defame said former members, threatening legal action against former members based on spiritual covenants signed by the former members, suing former associate pastors who try to find work in other churches under non-compete clauses in employment agreements, and so on, and so on. It got so bad that former members staged protests after Driscoll said all the charges were coming from anonymous people. And an evangelical interfaith cooperative that Driscoll co-founded kicked out Driscoll and the entire Mars Hill organization. Numerous evangelical conventions and similar events where Driscoll had been a lead speaker have suddenly removed him from the schedules and/or removed all mention of him from their web sites. 21 former Mars Hill pastors lodge formal charges against Mark Driscoll, and now the New York Times is reporting that Mark Driscoll Is Being Urged to Leave Mars Hill Church. When an organization is producing this much unethical and immoral behavior, it isn’t a matter of just one bad person. Even though I firmly believe that Driscoll is a narcissitic bigot and con man, he isn’t the only problem. He’s the leader of this church, but that doesn’t explain the financial shenanigans, lies, and violations of law at the National Organization for Marriage. Or the lies told by Save America. Nor the crimes against humanity and related actions by evangelical leaders such as Scott Lively. Or scamming tax-payers for millions in tax breaks for a creationist museum. The evangelical fundamentalist theology is inherently hateful, fearful, and toxic. One of the evangelical movement’s central tenets is that in god’s eyes everyone isn’t merely imperfect, but infinitely wicked. And rather than seeing god’s love as infinitely merciful and compassionate, they see god as being so consumed by wrath at sin that only by killing his own son could he even consider being merciful. They have scripture they quote to rationalize this belief, but other Christians read those same scriptures and come to a different conclusion. Evangelicals hold their fellow humans (and often themselves) in utter contempt, ignoring Jesus’ teachings about compassion. When you combine that with the anti-intellectual, anti-modernist mindset of most fundamentalists, it is no surprise that so many of their leaders and institutions are corrupt, because the followers are infinitely susceptible to being hoodwinked.